Every design guru knows that lighting can make or break a room. And while it may be tempting to stick with tried-and-true favorites like chandeliers or wall-mounted lights when designing or remodeling your home, if you really want to light up a space (and make a statement) it’s best to go for something unexpected. Since its inception 11 years ago, London–based lighting company Delightfull has been delivering just that by creating mid-century lighting with a twist. Effortlessly fusing retro styles with state-of-the-art design techniques, Delightfull creates mid-century style pieces that are an homage to iconic designers from the 1940s, 50s, 60s, and 70s. One of its latest examples, the inspired by American trumpet player and composer Chris Botti, who won a Grammy Award in the Best Pop Instrumental Album category for his album Impressions. 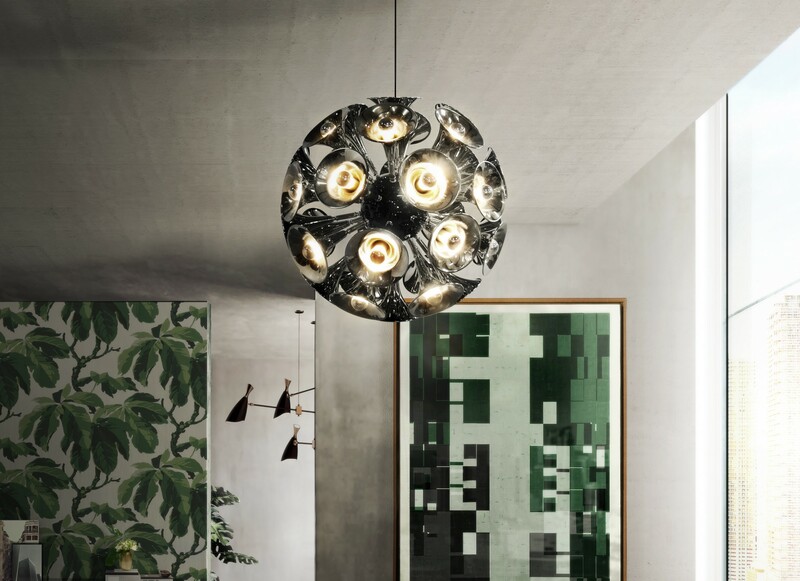 Envisioned as a smaller version of a modern chandelier with 15 trumpet-shaped parts that unfurl from the center, the spherical pendant is a unique, sophisticated piece that can light up rooms both large and small. The light can be purchased for $2,202. We’ll just come right out and say it: Finally, here’s a light that hits all the right notes.